Specialized Training Services - Philip Erdberg, Ph.D., A.B.P.P. Philip Erdberg, Ph.D., A.B.P.P., is a diplomate in clinical psychology of the American Board of Professional Psychology and an internationally known expert in the assessment of personality disorders. He is a past-president of the Society for Personality Assessment and the 1995 recipient of the Society's Distinguished Contribution Award. 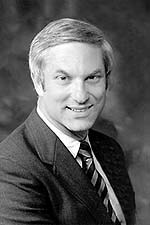 In 2001, Dr. Erdberg received the William T. Rossiter Award, presented by the California Forensic Mental Health Association, for outstanding achievement in the field of forensic mental health. He serves as a clinical and research consultant in a variety of therapeutic, educational, and correctional settings and is on the Curriculum Evaluation and Consultation Committee of the San Francisco Psychoanalytic Institute. Dr. Erdberg has conducted presentations on personality assessment and personality disorder throughout the world and is known for his clear organization, creative thinking, and sense of humor. Programs Featuring Philip Erdberg, Ph.D., A.B.P.P. The DSM-IV-TR personality disorders (PDs) classified in Cluster A are referred to as the "odd/eccentric" group of PDs. These Axis II disorders are considered to be on the "schizophrenia spectrum" along with the different categories of schizophrenia on Axis I. Patients with schizoid PD resemble those in the early stages of schizophrenia but, unlike those in such an early, prodromal phase of the Axis I condition, do not go on to develop schizophrenia. Schizotypal PD most closely fits the "odd/eccentric" label. Patients with schizotypal PD and Paranoid PD are thought to be genetically predisposed to develop these conditions, yet less vulnerable than those predisposed to develop schizophrenia itself. Good data about the prevalence of these disorders are not available as patients with these disorders are not generally treatment seeking. As is characteristic of all PDs, the diagnostic features of the Cluster A disorders are relatively stable over time, although under stress, peaks of more disabling pathology may occur. Comorbidity with other disorders (Axis I and II) is common. State-of-the-art assessment and treatment of the Cluster A PDs will be presented in this half day program. Much of the training mental health clinicians receive emphasizes severe psychopathology. Yet it is the pervasively maladaptive patterns we call personality disorders that typically bring clients into therapists' offices. Simplistically, a client who is too shy, too perfectionistic, too self-centered, or too emotional may be presenting the outward signs of a personality disorder. A therapist who addresses only marital issues, substance abuse, or work-related problems rather than considering the possibility that they are manifestations of an underlying personality disorder may be missing an opportunity to provide the highest standard of care. A solid understanding of personality disorders is also necessary for complete and defensible written documentation. This two-day workshop focuses on accurate recognition and appropriate intervention for these disorders, from both a practical and dynamic perspective. The presentation will alternate between lecture segments that provide an up-to-date developmental and psychodynamic understanding for each personality disorder and interactive case vignettes aimed at formulating effective therapeutic interventions.